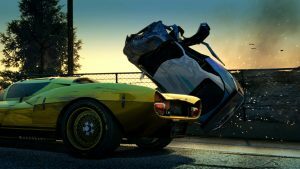 Wreak havoc and unleash automotive anarchy once more as you are transported back to the world of Paradise City, to tear it up in the ultimate driving playground; from hectic downtown avenues to the wild mountain roads. 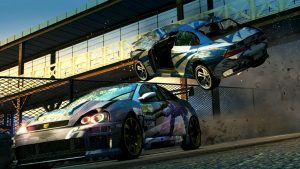 Pull off high-octane stunts and create insane car destruction in one of the greatest arcade-driving games ever created. 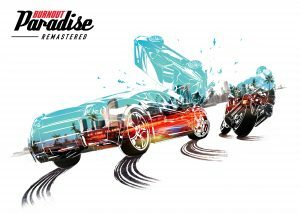 Burnout Paradise Remastered includes the original base game and the eight add-on game packs released during the Year of Paradise*, including the extension to the drivable world with Big Surf Island. 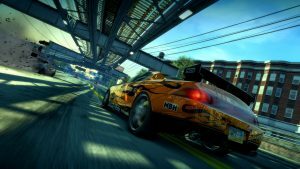 Burnout Paradise Remastered also features a range of technical enhancements for greater visual fidelity, including high resolution textures for players to explore Paradise City in 4K with supporting 60FPS on the PlayStation 4 Pro and Xbox One X.